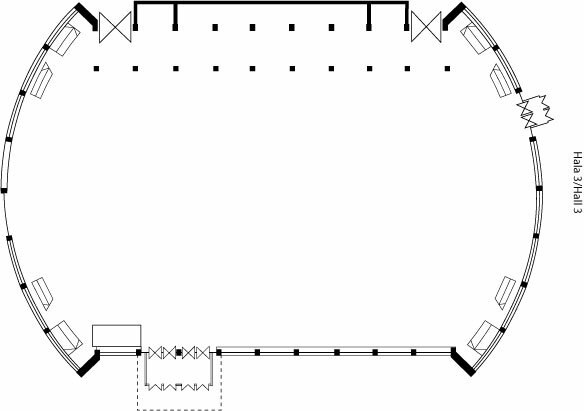 The Hall 3 is rectangular in shape, with arched walls. 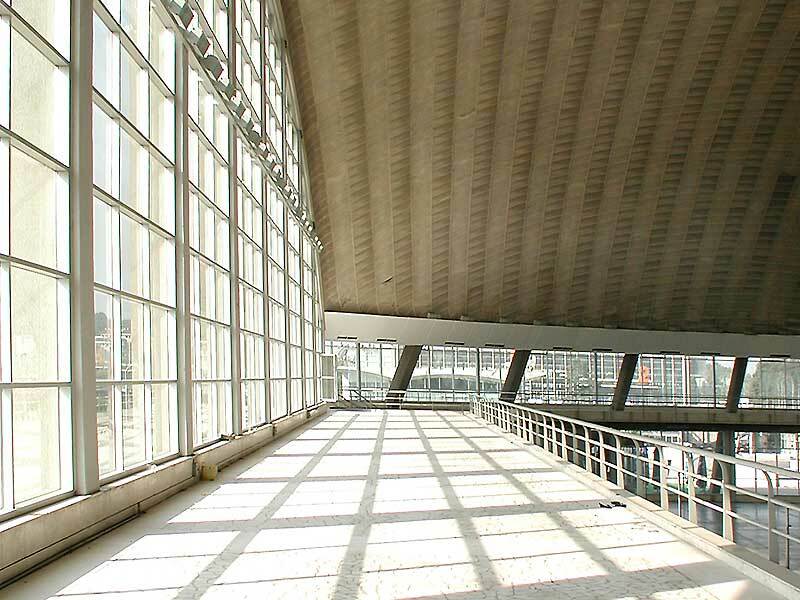 On the shorter sides, the hall has got two levels and a gallery, the basement section of which is used for the warehouse and auxiliary facilities, whereas the ground floor and gallery for exhibiting. 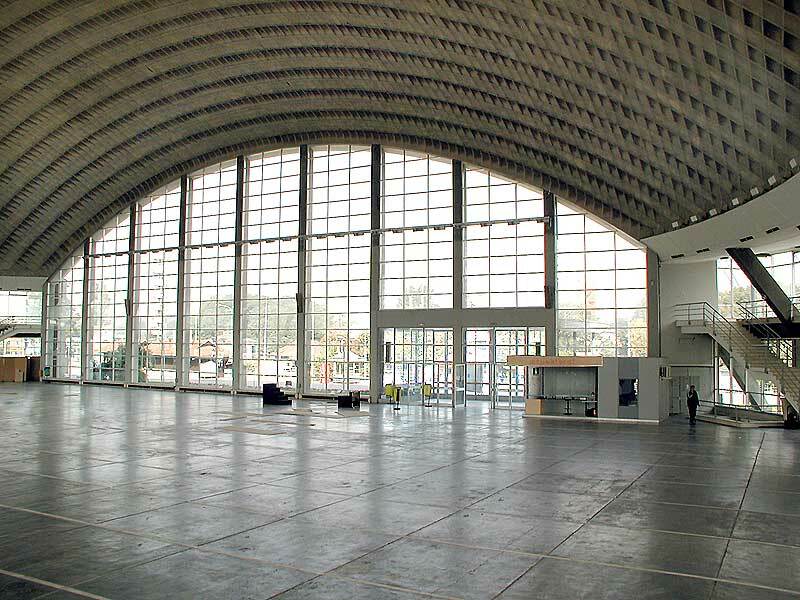 The hall is covered by a reinforced concrete shell structure. 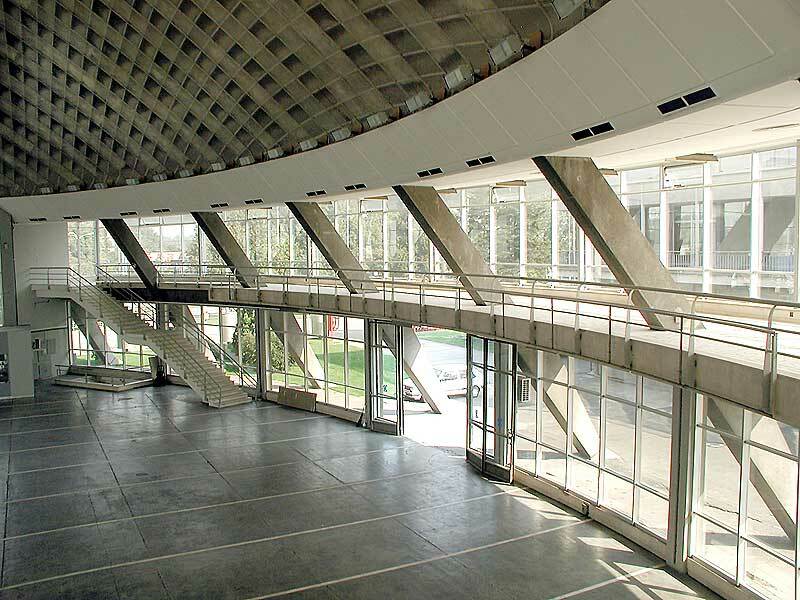 The maximum height in the hall center is 20.32 m.
All external walls of the hall exhibition space (other than the ground floor section under the gallery) are made of glass from the floor to the spherical section. The total area is 8,109 sq. m., of which the exhibiting space of 4,438 sq. m. The hall has got heating and ventilation.